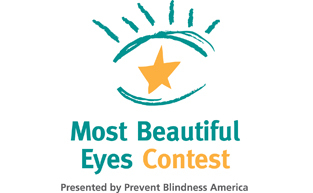 Real Kids Shades is proud to continue it's sponsorship of Prevent Blindness America's Most Beautiful Eye Contest. The contest allows children across the United States the chance to win a $10,000 educational scholarship. From June 24 - July 31, 2013, parents of children ages zero to 17 are encouraged to enter their child in the Prevent Blindness America Most Beautiful Eyes Contest by submitting a photo to the Prevent Blindness America Facebook page at facebook.com/preventblindness. From August 1 - 31, 2013, the public will be encouraged to place online votes for their choice of the child with the most beautiful eyes. Each state will have a winner (void where prohibited), who advance to the second round of voting. All state winners will receive a free pair of Real Kids Shades sunglasses and a copy of the children's book, "Jacob's Eye Patch" by Beth Kobliner Shaw and Jacob Shaw. The national winner will be decided by the panel of celebrity judges including, ORA-TV's Larry King, "Fox NFL Sunday" host Curt Menefee, actress Barbara Eden, and bestselling author Beth Kobliner Shaw. The 2013 national winner will be announced at the Prevent Blindness America Annual Awards Banquet on Friday, November 8, 2013. The national winner and two family members will enjoy a weekend in Chicago where they will accept the award. Real Kids Shades encourages all our customers to enter the contest and follow along on Facebook. We will continue to give updates on the contest on our facebook page facebook.com/realkidsshades. "The PBA Most Beautiful Eyes Contest provides a unique opportunity to remind parents about the importance of making sure our children's eyes are healthy," said Hugh R. Parry, Prevent Blindness America president and CEO. 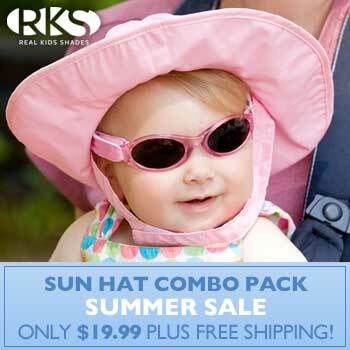 Our Sun Hat Combo Pack is regularly $28.99 and is on sale for $19.99 including FREE Shipping. Sale ends July 21st. and enjoy these specials today ! What a great way to bring awareness to protecting children's eyes. Adults wear sunglasses but often don't make children. We need to teach children the importance of protection from the sun. Fashionable sunglasses help them want to wear sunglasses.